Reacher is back. If you have read his previous ten outings, you’ll think "great" and devour this latest. You will know exactly what to expect, and you won't be disappointed. If you haven’t read a Lee Child before, I'd recommend not starting with this one, but beginning at the beginning, with "Killing Floor", which is a tremendous read. Each book can be read as a stand-alone, but inevitably, by number eleven, formula has set in, and you'll enjoy Reacher more if you've followed his journey from the start. Jack Reacher is the fiction twin of TV's Jack Bauer. Both men have utter integrity born of inner conviction. Both are deeply patriotic, but their patriotism owes nothing to whoever is currently in charge and everything to an inner moral code. This makes them both outsiders, not the kind of men who will ever be promoted to general but who are excellent at inspiring loyalty in a small-team, and who are incorruptible. Both are rootless, restless: they can't settle into a family life or domestic relationship for more than the length of a book or series (useful for filmic adaptations), and both men have personal tragedy in their backgrounds that gives them an air of vulnerability beneath their tough-guy exterior. Perfect. 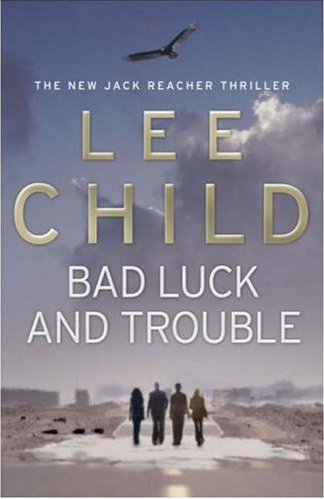 Reacher's charisma is the power that drives Lee Child's books. He is a drifter: all he carries is a toothbrush. When his shirt needs washing he goes to a thrift store and buys another one, throwing away the old. He has little money, earning what he needs by doing menial tasks as he wanders on his Odyssey round the USA, taking the first bus out of whatever town he finds himself in when boredom sets in, with no idea of his destination. His childhood in the army has prepared him for this life, and his experiences (some of which are told in earlier books in the series) ensure he continues with it. It also keeps him engagingly old-fashioned: technological advances pass him by, so in each book someone has to explain to him how to make the latest fashion digital gadgetry works - a useful device for non-technological readers. This lifestyle, of course, provides a perfect backdrop for each book - different venue, different supporting cast, different problem to be solved, and (usually) different girlfriend. This particular story starts with Reacher finding some unexpected money in his bank account. He quickly works out that the amount deposited is a code, and from whom. The messenger turns out to be an old army colleague, and before the reader can blink, one learns that Jack used to lead a crack unit, a team who vowed always to help each other out when any of them were in trouble. Here is the main weakness of this series: in many of the books we are shown some previously undisclosed aspect of Reacher’s past that is intensely important to him, yet has never been mentioned nor have any of those involved ever appeared. But never mind. If you are prepared to go along for the ride and ignore wrinkles such as this, you won't be disappointed. Having established the basic plot - where are the old members of the unit, and are they in bad trouble? - the book cracks on at a fast pace. Soon, the survivors are together, trying to piece together what happened to the others via out-thinking some heavies and working out (against the clock) the meaning of apparently unrelated sets of numbers. Our heroes are being watched by two sets of people, so we have to find out who they are and how they fit in to the web of deceit and evil that Reacher and co are gradually unravelling, as the tension ratchets up. Eventually, some long way into the book, the team works out what is really at stake, thanks partly to a nameless "expert Pentagon contact" who "owes" one of the characters (a cliche that is another slight weakness of the book). After some trademark careful preparation, the story escalates into a suitably action-packed and tense conclusion. One is left drinking a cup of relaxing herbal tea to calm down, and waiting eagerly for Reacher's next outing. Read another review of BAD LUCK AND TROUBLE.